Actor Hugh Jackman traveled to Ethiopia as an ambassador for World Vision Australia, one of the largest humanitarian aid organizations. While there, Hugh met a young coffee farmer named Dukale, working to lift his family out of poverty. After spending time on Dukale's farm, Hugh realized that something as simple as a cup of coffee could have a profound impact on global poverty. 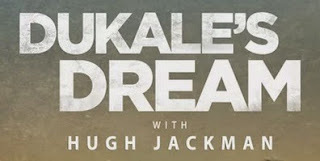 Hugh was so inspired by what he learned from Dukale that he made—and kept—a promise that is revealed in this inspirational documentary.